This composition is a brilliant example showcasing the influence of the Hindustani dhrupad style of music in Dikshitar compositions. The Raga Kamboji which is capable of depicting several rasas like Bhakthi, Sringara, Karuna rasa can bring the feel of absolute surrender to the Lord. Sree Subramanyaya Namasthe – Deekshithar Krithi starts at Manthra stayi(lower octave) Dhaivatham as P..DS..R..G perhaps to highlight the implcit faith and surrender of the great Vaggeyakara to Lord Subramanya. KambOji and the krithi Sree Subramanyaya Namasthe are synonymous ! Though Dikshithar is known to be a Devi Upasaka, his birth and beginning of the career as a vaggeyakara owes to Lord Subramanya. 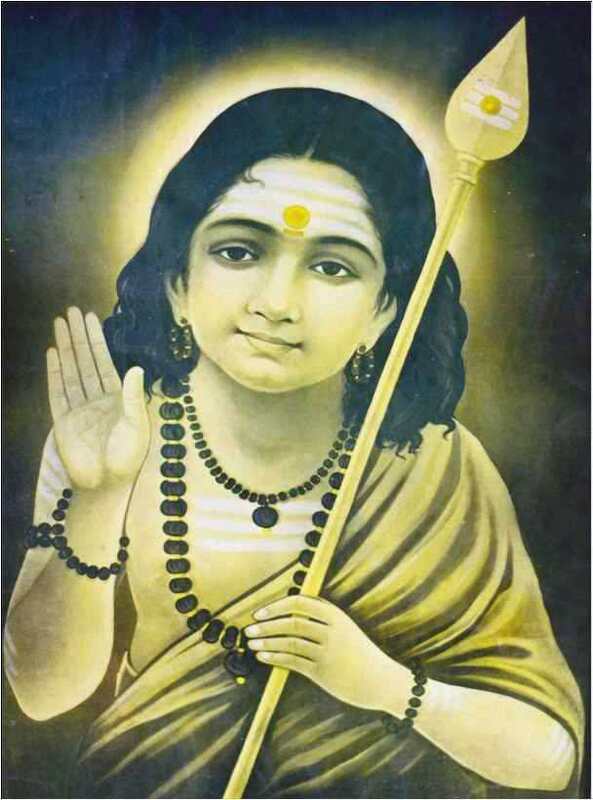 Though he shed his mortal coil while singing “Meenalocahni Paasa Mochani” in the Krthi Meenakshi Memudam in Purvikalyani, it can be seen that his Mukthi is also connected to Lord Subramanya – on the most auspicious Naraka Chathurdasi Thidhi / Deepavali day which is just 6 days before Skanda Shasti ! How I wish I had been a student of such great divine music that is the sacred treasure of our BHARATADESHAM. My husband was a great lover of our BHARATEEYA Sangeetham both Hindusthani as well as Carnatic.iA few years ago he had written in the Sruti magazine an article as to why we should call our music as BHARATEEYA SANGEETHAM and not divide it regionally as North and South Indian music because the fountain-head of our music is ONE just as SRI ADI SANKARACHARYA’s ADVAITHAM philosophy. Your blog is very educative and excellent. Thank you and may you continue with your wonderful work as a teacher of this divine art. Thanks for sharing. Really amazing! excellent.I have read Mahaperiyava’s explanation of this krithi to Ariyakudi.Your write up adds to that and brings out the nuances of the krithi and raga.When I listen to this krithinext time I think I will enjoy it even more thanks to this write up.Thank you.